There’s something special about powerful women who are unabashedly, unapologetically themselves. A few names spring to mind: Édith Piaf, Simone de Beauvoir, Oprah, Jeanne d’Arc, Françoise Hardy, and each of the Spice Girls. 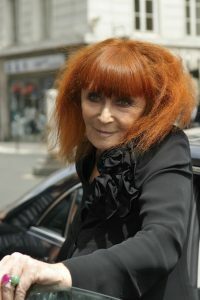 And, French designer Sonia Rykiel. Rykiel died on Friday, August 25, 2016, in Paris. She was 86. She passed away due to complications from Parkinson’s disease, which she’d suffered from since 1997. She released the news of her illness in 2012. The young Rykiel got her first footing in fashion at 17 years old, when she got a job decorating window displays at Grande Maison de Blanc. And as the lore goes, artist Henri Matisse walked past one of her displays which showcased a bunch of scarves, and he was so moved that he bought every single scarf. The inception of Rykiel’s Poor Boy Sweater was born from necessity: she needed something large, stretchy, and comfortable to wear while pregnant in 1962. The piece was a hit with her friends, they placed orders for their own, and the rest is history. 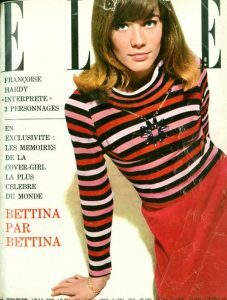 The item made a name for itself and for Rykiel when it landed on the cover of French Elle, leading stars like Audrey Hepburn and Catherine Deneuve to buy multiple sweaters in varying colors. The designer founded her eponymous fashion label in 1965, and it steadily grew, following the opening of her own store in Saint-Germain-des-Prés in May 1968. 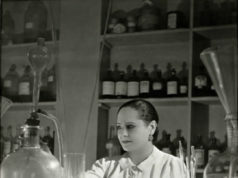 The label produced clothes, perfumes, and accessories. Her brand continues to thrive, and its items can be purchased globally. The designer also dipped her hands into various other artistic endeavors, such as an appearance in a Robert Altman film, Prêt-à-Porter, and contributing to the interior design of Paris’s famed Hôtel de Crillon. She was a true Renaissance Woman, and she was distinctly herself. Throughout the years, she was known for her uniform color palette, which often included blacks and dark greens, and sporting her bright red bob-ed haircut. She once declared that her color was black, and that, when worn right, it could scandalize. 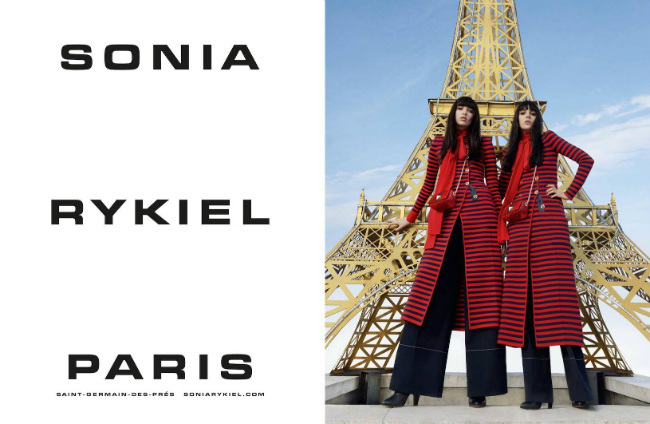 Rykiel had an endearing view of Paris, too. She believed: You can create fashion everywhere in the world, but the place where you are crowned is Paris. And she was crowned in Paris through and through. The longevity of her career (in the notoriously fickle industry of fashion, no less) is proof of that.